How to start with a character placed in a map? I can only start with a PlayerStart actor.How can I start with a character placed in a map just like offical ThridPerson Template ? 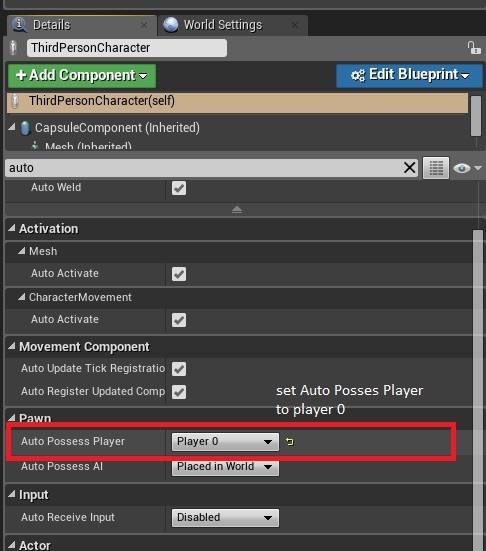 Drop in the pawn/character and set auto-posses player to player 0. Omg thank you! I was looking for this like all day! Really appreciate it.